Where Can I Find Acura MDX SUVs for Sale Near Me? 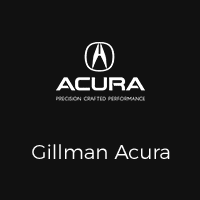 Are you asking yourself, ‘where can I find new & used Acura MDX SUVs for sale near me?’ Gillman Acura offers an exceptional selection of new, used & certified pre-owned Acura MDX Third-Row Luxury SUVs for you to browse and test drive in Houston, TX. Why Choose the Acura MDX? For people in the market for the economic advantages of a crossover luxury SUV with the enrichments of its full-sized counterparts, the Acura MDX ought to be on the test drive short list. But a word of caution: make certain you’ve made room in your garage before taking one out for a drive. Revamped for the 2018 model year, the MDX’s interior elements redefines luxury driving. With an improved touch-screen infotainment center equipped with all of the latest modern conveniences and a spacious 3-row interior enveloped in the highest-quality materials, Acuraq has produced the world’s first 5-star mobile VIP accommodations. New technology often means more ways to be sidetracked while driving. This indicates your vehicle’s safety technology has to be ahead of the curve. Acura’s standard and added safety features meets the requests of modern drivers and surpasses them in award-winning ways.